In the first 3 chapters of the book of Romans Paul made it abundantly clear that all humanity is guilty of breaking the law of God. He summed up this argument in Romans 3:23 stating, “For all have sinned and fall short of the glory of God.” We are all guilty. Since we are all guilty, we all stand condemned before God. Fortunately for us God gives us the choice of grace or condemnation. Next, Jesus said in John 3:18, “He who believes in Him is not judged; he who does not believe has been judged already, because he has not believed in the name of the only begotten Son of God.” By placing your faith in Jesus you are making a choice to receive the grace of God and are freed from you guilt. 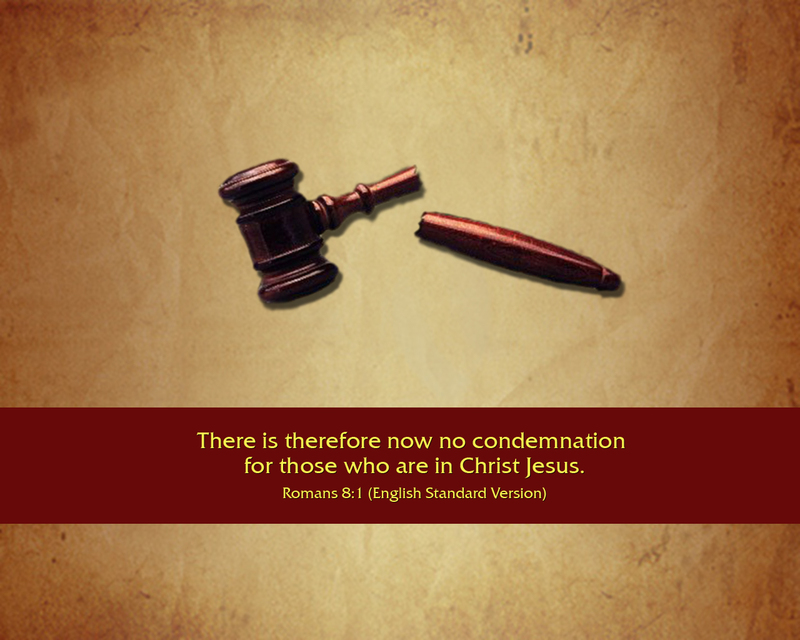 The result is, “There is now no condemnation for those who are in Christ Jesus.” Their sins are forgiven. Those who make the choice to reject God’s grace by rejecting His Son stand condemned already. For they are still in their sin. If they die in their sin, they will be eternally condemned. Those who accept the grace of God are given the privilege to walk, talk, live, breath, and exist in this life, and eternity to come in the unmerited favor of God. They are free from the condemnation of the law of sin and death and free to walk in the Spirit of life in Christ Jesus. Because of the gift of God’s Son, “there is now no condemnation for those who are in Christ Jesus.” Truly, we have received the greatest gift the world has ever seen. This is part 14 of 28 devotions that will go through Christmas Eve. If you would like to subscribe to my daily devotions please PM me your email. Also, please share.